Ответы (ГДЗ). Английский язык. 5 класс. Рабочая тетрадь. Spotlight. Ваулина Ю.Е., Дули Дж. и др. 2. Соедините картинки со словами. Затем запишите слова в алфавитном порядке. 2 a) 1 ball, 2 fox, 3 cat, 4 hat, 5 egg, 6 girl, 7 apple, 8 doll. 2 b) 1 apple, 2 ball, 3 cat, 4 doll, 5 egg, 6 fox, 7 girl, 8 hat. 3. A—a, B—b, C—c, D—d, E—e, F—f, G—g, H—h. 4. Соедините картинки со словами. 4. Посмотрите, скажите и напишите. b, c, e, h, k, l, n, o, q, t, u, w, y. 3. Соедините картинки со словами. 1 lemon, 2 snake, 3 orange, 4 yacht, 5 zebra, 6 nest. 2 three — 3, six — 6, eight — 8, four — 4, ten — 10, seven — 7. 1 yellow, 2 green, 3 purple, 4 orange, 5 pink, 6 blue, 7 red, 8 brown, 9 grey, 10 black. windows, nose; 8 grey — dog. 1. Соедините картинки со словами. 1. Напишите слова, затем произнесите их. 1 desk, 2 pencil, 3 glue, 4 school bag, 5 blackboard, 6 pencil sharpener, 7 eraser, 8 ruler, 9 notebook, 10 crayons. 2. Соедините картинки со словами. Расположите их в алфавитном порядке. a) 1 pencil sharpener, 2 glue, 3 ruler, 4 blackboard, 5 paper clips, 6 chair, 7 notebook, 8 eraser. b) 1 blackboard, 2 chair, 3 eraser, 4 glue, 5 notebook, 6 paper clips, 7 ruler, 8 pencil sharpener. 4. Come to the blackboard! 1. На каких уроках находятся ученики? 1 Maths, 2 Information Technology, 3 Science, 4 Music. 2. а) Напишите пропущенные дни. b) Предполагаемый ответ: My favourite day is Friday. 3. Заполните пропуски, вставляя а или an. 1 a, 2 a, 3 an, 4 a, 5 a, 6 a, 7 an, 8 a, 9 a. 1 Which room is the English lesson in? Girl: Is the English lesson in room 1E? Girl: Yes. It’s my first day. Boy: The English lesson is in room 1C. 2 What is the boy’s favourite subject? Boy: What lesson is next? Let’s look at the timetable. Hmm. Geography. Boy: Oh no, I don’t like Geography much! Girl: My favourite subject is History. 3 When is the art class? Girl: What’s that on the board? Boy: It’s a note from the Art teacher. Girl: Oh. It says the Art lesson is on Tuesday and Thursday this week. Boy: Well, Music must be on Monday and Wednesday then. 4) 1 C, 2 A, 3 B. 3. Заполните пропуски в диалогах личными местоимениями и формами глагола «быть». 1) am; 2) She is. 3) he is; 4) Is he; 5) he is. 6) They are; 7) It's. 1. Прочитайте расписание Джона и пометьте предложения буквами Т (True) или F (False). 1 T, 2 F, 3 T, 4 F, 5 F.
2. Вставьте в пропуски личные местоимения. T:Good morning class. Welcome to Hillside Secondary School. Here are your teachers’ names and their classrooms. Write them in your notebooks, please. Let’s begin with Mrs Cook. Mrs Cook is your Maths teacher. She’s in room D. Write it down. Next is Miss Brown, she’s your Science teacher. She’s in room F. Your English teacher is Mr Hunt. Mr Hunt’s in room B. S:Did you say room E, Miss? T:So, Mr Marks is your History teacher. He teaches in room C. Next to Mr Hunt’s room. S:Mr Hunt teaches English and Mr Marks teaches History? T:Information Technology? I teach that lesson in room G. Any more questions? 3) 1) Maths, 2) F, 3) Mr, 4) History, 5) A, 6) Art. Hi, my name's Jane and I'm twelve years old. I go to Hillside School I'm in class 1A. My favourite subjects are English, History, Art and Music. I don't like Geography because Гт not very good at it! My favourite teacher is Mr Green. He teaches History and he is very nice. My best friend is called Rachel. She is in my class. 2. Найдите личные местоимения в тексте. К чему /кому они относятся? English because I am not very good at it! called Anna. She is in my class. 1. а; 2. а; 3. а; 4. an; 5. an; 6. а. 1. it; 2. he; 3. they; 4. it; 5. she; 6. they. 3. Замените выделенные слова правильным личным местоимением. 1 We, 2 It, 3 You, 4 It, 5 She. 6. Закончите, как в образце. 1. A: Is it a classroom? В: No, it isn't. It's a school. 2. A: Are they pens? 3. A: Is it an atlas? B: No, it isn't. It is a blackboard. 4. A: Are they notepads? B: No, they're not. They are books. 5. A: Is she a teacher? 2. What school is she at? 3. What subjects does she choose? 1 Her name’s Sally Owens. 2 What, at Forest Park School. 3 What, She chooses Music and Maths. 8. Вставьте what, how и ответьте на вопросы о себе. 3. What is your favourite school subject? 4. What class are you in? 9. Расставьте слова в правильном порядке. 1 Where is the Maths lesson? 2 Her name is Linda. 3 John is in class 2B. 4 You are twelve years old. 5 This is not a ruler. 6 Bill and Ann are friends. timetable, English and History, PE and Science, Maths class/lesson, a book and a notebook, a ruler and a pencil, a favourite subject, days of the week, a music teacher, lunch break. 11. Переведите предложения на английский язык. 1. The maths lesson is in Room 16. 2. My favourite day of the week is Saturday. 3. How old is Tom? — 10. 4. I'm 12. And you? 5. His name is Sasha. He studies in class 5. 6. John and Bill are friends. They are new to class 4A. 7. Is it a pencil? — No, it isn't. It's a pen. 8. My favourite teacher is Anna Ivanovna. She is a teacher of Russian. 9. What's his name? What class is he in? 10. What subjects does he study? What's his favourite subject? Who's his favourite teacher? 11. Where is the English lesson? — Hello! My name is Mary Green. — Hello! I'm Tanya Petrova. — How old are you, Tanya? — 11. And you, Mary? -I'm 11 too. — Nice to meet you too! Let's go to the music lesson together! 1. Напишите предложения по образцу. 1. Meg Ryan is from the USA. She's American. 2. Mel Gibson is from Australia. He's Australian. 3. Michael Owen is from the UK. He's British. 4. Ronaldo is from Brazil. He's Brazilian. 5. Sting is from the UK. He's British. 6. Figo is from Portugal. He's Portugese. 1 French, 2 American, 3 British, 4 Japanese, 5 Canadian, 6 Russian, 7 Greek, 8 Italian. 3. Вставьте has got, hasn't got, have got, haven't got. 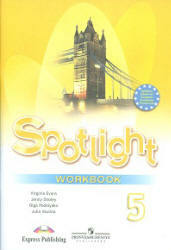 I have got a notebook and all of my schoolbooks. I have got many pens and pencils, an eraser and a pencil sharpener. 1 helmet, 2 bicycle, 3 handbag, 4 digital camera, 5 watch, 6 teddy bear. 1. a; 2. b; 3. b; 4. b. 1. This is a basketball and that is a cap. 2. This is a skateboard and that is a watch. 3. These are gloves and those are trainers. 4. This is a guitar and that is a scarf. 4. Напишите во множественном числе. Ninety-eight, 87: eighty-seven, 100: a/one hundred, 20: twenty. 2. Прочитайте тексты и выберите правильный ответ. 1. В; 2. С; 3. В; 4. А; 5. С.
Anna: Hello, Sam. Did you find the souvenir you were looking for? Sam: Hi, Anna. Yes, I did. I found a great key ring that I will use for my house keys. This way, I’ll never lose them again! What did you buy? Anna: Well, since it does get chilly in the winter, I bought a scarf to keep warm. I also bought a small-sized red London bus for my dressing table. Joy: Hi, Ben and John. What are you doing? John: Well, Ben and I want to buy some souvenirs to always remember our trip. Ben: Yes, but we can’t decide on what we want to buy. Joy: Hmm, I bought a T-shirt for my dad, a mug for my mum and a doll for myself. Ben: Good idea, John. I am going to buy some British coins for my collection back home. Those will really come in handy! Joy: Great guys, see how easy that was? 3). Sam A, Joy F, Ben H, Anna G, John D.
текста и ответьте на вопрос. 2. а) Прочитайте текст и вставьте пропущенные слова. 1 capital, 2 Zealanders, 3 camera, 4 city, 5 souvenirs. b) Прочитайте текст снова и решите, верно ли высказывание Т (true) или нет F (false). 1 F, 2 F, 3 T, 4 T.
Rome is in Italy. It has lots of shops, cafés and historic buildings. The people are loud and friendly. There are many shops for shopping and souvenirs. Welcome to Rome, the capital city of Italy. There’s something for everyone here. Italians are loud and friendly and Rome is beautiful, so bring your camera! This city has got many shops for all your shopping and souvenirs. It has also got a lot of historic buildings and cafés. It’s a great place to be. Come and visit us soon! 1. Посмотрите на таблицу и напишите предложения по образцу. 1. Batman has got a super car and a cloak but he hasn't got a ring, a ring, a magic wand or a bow. 2. Harry Potter has got a cloak and a magic wand but he hasn't got a super car, a ring or a bow. 3. Robin Hood and Batman have got a cloak but they haven't got a ring and a magic wand. 4. Frodo has got a cloak and a ring but he hasn't got a super car, a magic wand or a bow. 1 I have got books and a pencil case in my school bag. 2 I have got a notebook and a pencil on my desk. 3 My friend has got a book and a pen on her desk. 3. Вставьте have, has, затем ответьте на вопросы. 1 Have ...? Yes, I have./No, I haven’t. 2 Have ...? Yes, they have./No, they haven’t. 3 Have ...? Yes, I have./No, I haven’t. 4 Has ...? Yes, he/she has./No, he/she hasn’t. 5 Has ...? Yes, he has./No, he hasn’t. 1 children, 2 tomatoes, 3 brushes, 4 feet, 5 ladies, 6 toys, 7 foxes, 8 leaves, 9 teeth, 10 caps. 5. Напишите предложения по образцу. 1. This is a camera. 4. This is a doll. 5. This is a guitar. 7. This is a cap. 8. This is a mug. 1. The children have got basketballs. 2. The women have got pink scarves. 3. These buses are blue. 4. The men are doctors. 5. My friends are Russian. 6. Superheroes have got special powers. 7. We have got toy mice. 8. They have got digital cameras. 9. These are helmets and those are watches. 7. Задайте вопросы к этим ответам. 1. Where is Jim Carry from? 2. Have you got a teddy bear on your bed? 3. How old is Nancy? 4. Has Mary got a big collection? 1. Peter hasn't got a red cap. 2. The children have got bicycles. 3. Those are digital cameras. 4. These are new cars over there! 5. Tom and Susan are from Canada. a red bicycle, a new basketball, a blue helmet, a digital camera, American children, to speak French, two new handbags, three women from Japan, a new watch, one hundred stamps, an Italian scarf. 10. Переведите предложения на английский язык. 1. I'm from Russia and John is from England. 2. I've got a lot of friends from the USA and Canada. 3. Jane has got books, notebooks and a new pencil case in her school bag. 4. Sveta and Sergei are in class 6. They can read English. 5. This is a cat. And that is a dog. 6. These are footballs and those are basketballs. 7. Happy birthday, Jim! — Thank you! 8. Where are you from? — I'm from Russia. 9. What have you got in your school bag? — I've got a lot books and an English key ring. 10. Who is your best friend? — You. 11. What can you do? — To sing. 12. How much does it cost? — £ 2. My name is Dima Simonov. I'm from Novosibirsk. I'm 10. I've got a collection of coins. I've got 54 coins from 22 countries of the world in my collection. My favourite coin is from New Zealand. 1. b) Распределите слова по двум группам: внутри помещения и снаружи помещения. My house has got two bathrooms, three bedrooms and a living room. It has also got a dining room and a kitchen. 3. Напишите порядковое числительное для каждого этажа дома. 8 eighth, 7 seventh, 6 sixth, 5 fifth, 4 fourth, 3 third, 2 second, 1 first. Bill is on the sixth floor. 4.а) Закончите текст словами из списка. a) 1) tall, 2) old, 3) floor, 4) large, 5) third, 6) lift. In my bedroom, there is a bed by the window and a large wardrobe. There is also a desk and a chair next to the bed. In my bathroom there is a toilet and a washbasin. In my kitchen there is a table and four chairs. There is also a cooker, a large sink and a fridge next to the door. In my living room there is a large comfortable sofa with two armchairs around a table. There is also a television in front of the sofa and a bookcase on the wall. There is a large red carpet on the floor. 1 a, 2 b, 3 b, 4 a. 3. Посмотрите на картинку. Вставьте Is there, Are there, There is(n't), There are(n't). Ответьте на вопросы. 1. Is there a carpet in the room? Yes, there is. 2. Is there a window in the room? Yes, there is. 3. Are there two tables in the room? No, there aren't. 4. Are there three armchairs in the room? No, there aren't. 5. Is there a sofa in the room? Yes, there is. 6. Is there a lamp in the room? Yes, there are two lamps in the room. 7. Is there a bookcase in the room? No, there isn't. 8. Are there paintings in the room? Yes, there is one painting in the room. I have got a bed and a bedside table with a lamp. I have also got a desk, a chair and a wardrobe. A: The bed is behind the lamp. B: Wrong! The bed isn’t behind the lamp. It’s next to the lamp. A: The two pictures are on the bed. B: Wrong! The two pictures aren’t on the bed. They’re on the wall. 1 Where is the fireplace? Woman: Does your new house have central heating? Man: Yes. There’s central heating in all the rooms, and a fireplace in one. Woman: I have a fireplace in my living room. Man: That’s nice. My fireplace is in the living room. 2 Which is the woman’s favourite room? Man: Your house is great, Diana! Woman: Thanks, Tom. Let me show you the living room. It’s got fantastic views. Man: It’s lovely. Is there a dining room as well? Woman: Yes, it’s my favourite room. Come and see. 3 Where is the painting? Man: That painting is lovely, Kate. Woman: Thanks. I put it in the bedroom above my bed, then, I changed my mind and put it in the living room. Man: It looks nice in the living room. Woman: Yes, I like it above the sofa. 4 What is there on the desk? Man: Your study is wonderful. Woman: Thank you. That is where I get a lot of work done. Man: You like to work late in the evenings? Woman: Yes, at my desk with my computer. 5 What is there in the bedroom? Woman: I just redecorated my bedroom. Man: How have you changed it? Woman: I put up new curtains and I got a new bookcase. Man: Good idea. I think I’ll put a bookcase in mine as well. This way, if I want to read at night, I don’t have to go to my study to get a book. 3) 1 A, 2 B, 3 A , 4 B, 5 C.
1. Прочитайте текст и впишите слова. 2. Соедините слова с противоположным значением. 1 c, 2 e, 3 a, 4 b, 5 d.
3. Прочитайте текст снова и заполните таблицу. rooms: kitchen, dining room, living room, bedrooms, bathrooms. furniture: table, sofas, chairs, beds, wardrobes, paintings, mirror. 4. Расставьте слова в правильном порядке. 1. There are two chairs in the kitchen. 2. The house has got seven rooms. 3. There are beautiful paintings on the walls. 4. There is a big bed in the bedroom. My dream house is a small cottage in the middle of the forest. The house has got seven rooms. Downstairs there is a large living room with a sofa, two armchairs, wooden walls, big windows and a fireplace. There is also a kitchen and next to it there is a dining room with a large round dining table and eight chairs. Upstairs there are three bedrooms and a bathroom. The bedrooms have got big beds with bedside tables and wardrobes. There is a carpet in every room and a beautiful view of the forest from the windows. Outside there are front and back gardens with flowers and large trees. 1. Посмотрите на картинку и напишите предложения по образцу. 2. There are three bedrooms. 4. There are three bathrooms. 2. Посмотрите на картинку. Напишите вопросы и ответьте по образцу. 1. A: Are there any sofas in the shop? 2. A: Are there any armchairs in the shop? 3. A: Is there a table in the shop? 4. A: Is there a cupboard in the shop? 5. A: Is there a desk in the shop? 6. A: Are there any mirrors in the shop? 7. A: Are there any paintings in the shop? 3. Напишите предложения по образцу. 1. She's got a bike. It's her bike. 2. He's got a guitar. It's his guitar. 3. They have got a sofa. It's their sofa. 4. She's got a cat. It's her cat. 5. He's got a teddy bear. It's his teddy bear. 6. They have got a camera. It's their camera. 1 B, 2 C, 3 B, 4 A, 5 B, 6 C, 7 A, 8 C, 9 C, 10 B. Eight floors, on the ninth floor, in the living-room, in the bathroom, in front of the table, next to the wardrobe, behind the armchair, in the refrigerator, on the wall, a famous picture, the garden in front of the house, a block of flats, her desk, my bed, your wardrobe, his favourite armchair, our small flat, white cooker. 1. What is your new flat like? Which floor is it on? 2. Is there a cooker? — Yes, there is. 3. How many rooms are there in the flat? — Two. 4. Look. There is no TV in the bedroom. 5. His flat is on the second*/third floor. — Sounds great! 6. Is there a carpet in the new flat? — Yes, there is. It is on the floor. 7. This is/It’s our beautiful house. Let’s go in. 8. There is a bathroom next to the bedroom. There is a small mirror above the washbasin. 1. My name is Sasha. I'm from Russia. We have got a nice flat on the seventh floor in a block of flats. There are three rooms in the flat. My favourite room is bedroom. It is small. The walls are yellow. There is a sofa, an armchair, two chairs and a desk with a computer in the bedroom. The desk is near the window. The sofa and the armchair are near the wall, they are orange. There is a big poster on the wall. This is my favourite famous cinema hero — Spider-man. His name is Peter Parker. I've got a lot of books. They are in the bookcase in the hall. 2. There is a beautiful villa in front of us. There are eight rooms in it. There is a living-room on the ground floor. It is very large. There is a fireplace and six armchairs in it. The living-room is blue. There are beautiful paintings on the wall. There are big windows in the rooms. There are four bedrooms and four bathrooms on the first floor. The kitchen is big. It is on the ground floor. There is a huge cooker, a refrigerator, a table and chairs in the kitchen. In front of the villa there is a beautiful small garden. 1. а) Прочитайте письмо и заполни пропуски. 2. а) Перечислите все прилагательные из письма Эми, которые описывают характер. Добавь еще четыре. My dad’s funny and friendly. My brother’s a little crazy and loud. My grandmother’s very sweet and helpful. My grandfather’s kind and quiet. 1 can, can’t; 2 can, can’t; 3 can, can’t, can’t; 4 can’t, can; 5 can, can’t, can’t. 1 him, 2 my, 3 our, 4 your, 5 her, 6 me. height: short, age: old, facial features:nose, build:plump. Laura is a teenager of average height. She is slim, has blue eyes and long fair hair. Mary is young and tall. She is a bit plump, has brown eyes and long black hair. Sue is a short teenager. She is thin, has green eyes and short brown hair. Steve is young and average height. He is thin, has blue eyes and short blond hair. Bill is a teenager of average height. He is thin, has dark brown eyes, a large mouth and very short black hair. 2. Расставьте слова в правильном порядке. 1. Don't play the piano, please. 2. Come and meet him. 3. Look at that girl over there. 4. Don't close the door, please. 1. This is Mary's bicycle. 2. This is Tom's mother. 3. This is the boys' ball. 4. This is John's house. 5. This is Sue's sister. 6. This is the women's car. 4. Закончите диалоги, используя данные предложения. 1. A: Has she got any brothers? В: No, she hasn't. 2. A: How old is he? B: He's eleven. 3. A: What's her name? B: Katey. 4. A: Where's he from? B: He's from Spain. 1. Прочитайте текст и закончите предложения, данные ниже. 1. Prince William is from the United Kingdom. 2. His birthday is on the 21s' June, 1982. 3. His brother is Prince Harry. 4. Queen Elizabeth is his grandmother. 5. His hobbies are playing football and swimming. 6. He can paint, ski and ride motorbikes. 2. Задайте вопросы о принце Вильяме. Используйте what, when, where, who, can. Ответьте на вопросы. B: He’s from the United Kingdom. A: What date is his birthday? B: His birthday is on 21st June. A: What is Prince William’s full name? B: His full name is William Arthur Phillip Louis Windsor. A: Who is his father and his younger brother? B: Prince William’s father is Prince Charles and his younger brother is Prince Harry. A: Who is Prince William’s grandmother? B: Prince William’s grandmother is the Queen of England, Queen Elizabeth. A: What are Prince William’s hobbies? B: Prince William’s hobbies are playing football and swimming. A: What other things can he do? B: He can paint, ski and ride motorbikes. B: He’s a great athlete and a nice guy. 1 When does Jeremy celebrate his birthday? A:Jeremy’s birthday is on the 16th, isn’t it? B:No, his birthday’s on the 15th. 2 What is Frank’s favourite hobby? A:What’s your favourite hobby, Lisa? B:I enjoy painting and playing the guitar. How about you, Frank? A:I really enjoy sports. Football is my favourite. B:Hmm, I like to watch, but I don’t like to play. 3 Where is Natalie from? B:No, she’s from Italy, but she lives in the UK now. A:Ann, I thought you said you were going to cut your hair today. B:I did, but then I changed my mind. I decided to dye it blonde instead! 3) 1 B, 2 A, 3 B, 4 C.
1. Прочитайте текст и расставьте абзацы в правильном порядке. 3. Соедините предложения по образцу. 1. I'm tall and thin. 2. She's tall with red hair. 3. He's short and fat. 4. She's tall with brown hair and green eyes. 5. They are short with dark hair and brown eyes. 6. She's got short, brown hair and blue eyes. Hi, I’m Julia. I’m thirteen years old and I’m a student. I’m from Moscow, Russia. I’m short and slim with blonde hair and green eyes. My father and mother are Peter/Petr and Mary/ Maria. My younger brother is Boris. He’s ten years old. He’s very loud and listens to music all the time. My older brother is Ivan. He’s fifteen years old. He’s funny but very crazy! My hobbies are playing the piano and reading. I can also make cakes for my family. That’s all about me. What’s your family like? Write back soon. Julia. 1. Посмотрите на карточку и напишите предложения. Используйте can/can’t. 1. Jane can speak English and Spanish, but she can't speak German. 2. She can speak Italian, but she can't speak Chinese. 3. Jane can type letters, but she can't send a fax. 4. Jane can drive, but she can't use a computer. 2. Напишите предложения с глаголом can/ can't. 1. Andrey can sing and play the piano, but he can't draw. 2. Lara can draw, but she can't sing and play the piano. 3. Jake and Sue can sing and draw, but they can't play the piano. A: Can your best friend make cookies? A: Can your parents play the guitar? 4. Задайте вопросы и ответьте на них по образцу. 1. Whose is this cello? It's John's. It's his cello. 2. Whose are these hats? They are children's. These are their hats. 3. Whose are these bikes? They are children's. These are their bikes. 4. Whose is this ball? It's Adam's. It's his ball. 1. them; 2. me; 3. him; 4. him; 5. us. 6. Используйте данные предложения, чтобы заполнить пропуски. 1) Listen to this song! 2) Don’t play so loud! 3) Don’t cry! 7. Какой глагол сокращен? Ответьте по образцу. 2 has; 3 is; 4 possessive’s; 5 has, possessive’s; 6 is, possessive’s; 7 possessive’s, possessive’s. 1. Is my sister friendly? 4. Have you got any brothers or sisters? 1) my, 2) My, 3) she, 4) My, 5) he, 6) I, 7) His, 8) him, 9) We, 10) us, 11) me, 12) your. to play the piano, to speak French, to play computer games, to cook the food, to speak five languages, to be a teacher of music, lo look at the picture, to stand up, to sit down, to meet someone. 1. My birthday is on 15 September. 2. What's his name? — Peter. What is he like? — He's kind, friendly and very nice. 3. He's eleven. He speaks English and French. 4. This is my grandfather. He is seventy-two. 5. My brother is two. He's very funny. 6. Vanya's hobby is playing the guitar. 7. How old is your sister? — Ten. 8. Who is Peter? — He's my brother. 9. Who's Anya's father? — His name is Michael. He's a pilot. 10. Whose daughter is Anya? — Michael and Svetlana's. 1. Olga is 10. She is a tall girl, slim and beautiful. She has got big dark eyes and long fair hair. Olya is kind and friendly. She's very clever. She can play the piano and write poems. She has got two sisters. Lena is 13. She speaks two languages, English and French. Masha's 8. The younger sister is noisy and funny. She sings and dances. 2. We've got a big family. My mother is a teacher. She's 35. She's tall, with dark hair and very beautiful. Mother is kind and clever. She can cook well. My father is 40. He's tall and slim. Father can play the guitar and the piano. He's the great friend. My brother is 15. He's big and strong. His name is Dima. He likes drawing and computer games. My grandmother is 65 and grandfather is 70. They are very nice. b) Какого цвета каждое животное? 1 The elephant is grey. 2 The cobra is black and yellow. 3 The crocodile is grey. 4 The leopard is golden brown and white with black spots. 5 The camel is brown. 6 The deer is brown. 7 The rhino is grey and brown. 8 The lion is brown and black. 9 The tiger is golden brown and white with black stripes. 2. а) Образуйте 3-е л. ед. ч. от данных глаголов и распределите в соответствующие колонки таблицы. My brother plays football. My sister swims fast. Jake lives in Los Angeles. My mum says I’m noisy. Mrs Rodney likes cats. Mr Peterson laughs all the time. Sam walks in the park in the mornings. The dog bites the furniture. Jenny always washes her hands before dinner. Richard relaxes on the couch in the evenings. My sister does her homework on her own. John misses the bus every day. Dad always carries the groceries home. The baby cries loudly at night. The aeroplane flies high in the sky. 3. Поставьте глаголы в нужную форму. 1 runs, 2 live, 3 give, 4 weighs, 5 sleep, 6 has, 7 taste, 8 moves, 9 eats, 10 keep. 1. а) Соедините подсказки с картинками. 1 fur, 2 paws, 3 legs, 4 tail, 5 nose, 6 mane, 7 tusks, 8 trunk, 9 neck, 10 feathers. b) Задайте вопросы no образцу и ответьте на них. A: Which animal has got fur? A: Which animal has got paws? A: Which animal has got legs? A: Which animal has got a Tail? A: Which animal has got a nose? A: Which animal has got a mane? A: Which animal has got tusks and trunk? A: Which animal has got feathers? 2. Вставьте do, does, don't или doesn't. 1 Does, does; 2 Do, don’t; 3 Does, doesn’t; 4 Do, don’t; 5 Do, do. 3. Поставьте глаголы в скобках в нужную форму. 1 doesn’t enjoy, 2 doesn’t swim, 3 Do you walk ... , 4 don’t eat, 5 doesn’t like, 6 don’t run, 7 Do they play ... , 8 Does Mr Harris live ... .
l.b; 2. b; 3. а; 4. а. 2. Прочитайте текст и решите, верно ли высказывание Т (true) или нет F (false). l.F; 2. F; 3. F; 4. T; 5. T; 6. Т; 7. F.
Nathan: Pets are great, aren’t they, Vicki? Vicki: Oh yes, I love my dog. He’s really friendly. Have you got a pet, Nathan? Nathan: Yes, I’ve got a goldfish. It’s easy to take care of. Vicki: My friend George’s got a tortoise for a pet. They’re easy to take care of, too. Nathan: Hasn’t Maggie got a really nice guinea pig? Vicki: No, she’s got a cat, now. Vicki: My little sister Susan’s got a rabbit, but it doesn’t like my dog. Vicki: Yeah, she really wants a budgie, but they’re too noisy. Nathan: And I think they eat goldfish too!! 3) 1 e, 2 c, 3 d, 4 b, 5 g.
1. Прочитайте текст и закончите предложения. 1. The Arabian Camel lives in North Africa and in the Middle East. 2. Its colour is brown. 3. It's got short fur and a long neck. 4. In the hump there is fat. 5. It can go three weeks without water. • выражают привычки— go, carries. 3. Просмотрите информацию, данную ниже. Какое это животное? Домашний любимец? Дикий зверь? It's a wild animal — a polar bear. The polar bear is not a pet. It’s a wild animal. The polar bear is an animal which lives in the far north. It is white with thick fur and big legs. It has a large body and a short neck. It’s got brown paws. It can swim 60 miles and it eats other animals. It sleeps a lot in the winter. It likes to be with other polar bears, but it doesn’t like to be around people. I don’t like it because it kills other animals. 1. Образуйте 3-е л. ед. ч. от данных глаголов. 1 speaks, 2 carries, 3 goes, 4 washes, 5 eats, 6 plays, 7 writes, 8 teaches, 9 lives, 10 likes, 11 writes, 12 sleeps, 13 laughs, 14 hunts. 2. Образуйте 3-е л. ед. ч. от данных глаголов. 1 lives, 2 carries, 3 washes, 4 cries, 5 goes, 6 likes, 7 watches. 3. Прочитайте текст и задайте вопросы. Затем ответьте на них. 1. What do emus look like? — They are large birds. 2. Where do they live? — They live in Australia. 3. How long do they live? — They live for nearly 30 years. 4. What do they like to do? — Emus like to sit in the mud. 5. What do they eat? — They eat leaves, fruit and insects and they drink a lot of water. 4. Вставьте do/does и ответьте на вопросы. 1 Do; Yes, I do./No, I don’t. 2 Do; Yes, I do./No, I don’t. 3 Do; Yes, I do./No, I don’t. 4 Does; Yes, she does./No, she doesn’t. 5 Do; Yes, they do./No, they don’t. 5. Используйте подсказки, чтобы задать вопрос и ответить на него. 1. A: Does Mary go swimming at weekends? B; No, she doesn't. She goes skiing. 2. A: Does Eddie drink water in the morning? B; No, he doesn't. He drinks coffee. 3. A: Do Ben and Mike play lootball after school? B: No, they don't. They play basketball. 4. A: Does Betty play the piano? B: No, she doesn't. She piays the guitar. 6. Закончите текст, раскрыв скобки. 1) doesn’t feel, 2) take, 3) feeds, 4) washes, 5) cleans, 6) doesn’t like, 7) love, 8) love. 7. Вставьте do, does, have, has, can, is, are и ответьте на вопросы. 1 Can; Yes, I can./No, I can’t. 2 Have; Yes, I have./No, I haven’t. 3 Do; Yes, they do./No, they don’t. 4 Are; Yes, they are./No, they aren’t. 5 Has; Yes, (s)he has./No, (s)he hasn’t. 6 Does; Yes, (s)he does./No, (s)he doesn’t. 7 Does; Yes, (s)he does./No, (s)he doesn’t. 8 Is; Yes, there is./No, there isn’t. 9 Do; Yes, they do./No, they don’t. Beautiful animals from Africa and Asia, a dangerous snake with yellow stripes, Indian elephants, to eat plants, a lot of insects, to live in Brazil, my sister's guiney pig, to sleep in the day, to swim in rivers, on the high tree, a bird with a long tail, an animal with long fur. 1. There are a lot of tigers and lions in Africa. 3. Monkeys are funny animals. 5. My cat is very beautiful: it has got bright green eyes and thick red fur. 6. Do you like dogs? — Yes. I like big dogs. 7. Do your parents work on Saturdays? — No. On Saturdays we sometimes go to the park with all my family. 8. Does your friend swim well? — Yes, he does. He lives in Samara. He swims in the Volga. 9. Look! What is there in the tree? — There s a big beautiful bird! 10. Does your brother like cats? — No, he likes only computer! This is his hobby. 11. Do giraffes live in Russia? — Yes, they do, in the zoo. — Let's play the game! I have a picture of your pet. It's name is Tom. Who is it? Ask me questions. But I can answer only «yes» or «no». — Is Tom a dog? — Is it a big animal? -No. — Does it eat meat? -No. — Has it a long tail? -No. — Is it a guiney pig? — Yes! Look at the picture of Tom! It's beautiful and very funny. I love it very much! 1. Перед вами распорядок дня мистера и миссис Коллинз. Используйте информацию, чтобы задать вопросы и ответить на них по образцу. A: What do Mr Collins and Mrs Collins do at half past nine? A: What do Mr Collins and Mrs Collins do at twelve o'clock? A: What do Mr Collins and Mrs Collins do at twenty-five minutes past one? B: Mr Collins works on computer and Mrs Collins does the shopping. A: What do Mr Collins and Mrs Collins do at five o'clock? В: Mr Collins watches a DVD and Mrs Collins has a cup of tea. A: What do Mr Collins and Mrs Collins do at a quarter past six? A: What do Mr Collins and Mrs Collins do at ten o'clock? B: They go to bed. 2. Посмотрите на часы. Сколько времени? 1. It's a quarter past eight. 3. It's a quarter to four. 4. It's half past six. 5. It's a quarter to ten. 7. It's a quarter past two. football ... . I sometimes play with my PlayStation ... . I never go to bed …. 1. Have you got the time, please? 4. So, Jenny, what time do you get up? 5. Закончите текст, вставляя in или at. 1) at, 2) in, 3) at, 4) at, 5) in, 6) in, 7) at, 8) at, 9) at. 6. Расставьте слова в правильном порядке. 1. Do you always go to school? 2. She doesn't go to sleep early. 3. He works a lot on the computer. 4. Do they often watch TV at night? 2. Посмотрите на картинку и закончите вопросы. Затем ответьте на них. 1. Is Jake singing? No, he isn't. 2. Are Robert and Peter playing on the computer? Yes, they are. 3. Is the dog biting the armchair? Yes, it is. 4. Is Sandy playing the piano? No, she isn't. 5. Are Jake and Tom jumping on the sofa? Yes, they are. 3. Распределите слова по соответствующим группам. B:Hey, Vicky! How are you? A:Great! Are you playing basketball? Since when? B:It’s good exercise. Want to try? A:Well, I can’t. I’m taking my dog for a walk. B:Why don’t you ask Sam and Peter? They aren’t sleeping. A:I think they’re having lunch. A:Look! There he is. He’s jogging! B:And look! Linda is reading under that tree near the lake! 4) 1 f, 2 c, 3 g, 4 e, 5 a. My sister is playing with the dog. My father is reading a newspaper. My mother is cooking. My grandmother is washing the dishes. My grandfather is listening to music. My friend John is riding his bicycle. 1. а) Соедините части, чтобы получились фразы. 1 b, 2 d, 3 a, 4 e, 5 c, 6 f.
b) Что делают люди на картинках? 1. Students are working on the computers. 2. A secretary is making a phone call. 3. Men are working in the garden. 2. Прочитай про Гарри Поттера и заполни пропуски. 1) At, 2) they, 3) past, 4 does, 5) and. 3) 1 seven o’clock, 2 half past eight, 3 half past six, 4 ten o’clock. 1. Используйте данные глаголы, чтобы закончить письмо. Поставьте их в правильную форму. 1) wake up, 2) walk, 3) have, 4) go, 5) play, 6) watch, 7) am relaxing, 8) is planting, 9) are doing. 1. I am busy in the afternoon. 2. She never works in the garden. 3. Mum is making a phone call. 4. Does she often write letters? 5. Is he playing football? 6. Are you washing the dog? 7. I do not read newspaper at night. 8. He is planting flowers in the garden. Hi! How are you? It seems that you are having a great time! Me too! We are in the Canary Islands in a five-star hotel. I love it! Everyday, I wake up at around ten o’clock and go down to the ground floor of the hotel for breakfast. There are a lot of things to eat and I usually have a bowl of cereal, some hot chocolate, biscuits and fresh fruit! We always go swimming after and relax in the sun until midday. Later, my parents usually sleep for a couple of hours while my sisters and I play tennis. We sometimes have sandwiches at around half past three. In the afternoon we return to the room and have a shower. Then we get dressed. At night, we all go out for dinner and play mini golf! It’s so nice! Right now, I am sitting on the balcony. It’s night and everyone is sleeping, apart from my younger sister. She is reading comics. Hope to see you soon back in London! Bye for now. A: How often do you do the shopping? B: I always do the shopping. A: How often do you watch a DVD? B: I often watch a DVD. A: How often do you go jogging? B: I never go jogging. A: How often do you work on your computer? B: I sometimes work on my computer. 1. Sometimes Nancy has a cup of tea in the afternoon. 2. Gareth and Tonia never go to bed early. 3. Lara usually practices kickboxing in the evening. 4. My parents always relax at the weekends. 5. My friends often visit me at home. 3. Посмотрите на распорядок дня Салли и напишите, что она обычно делает в разное время суток. • On Monday mornings Sally has a maths class at 9 o'clock and a geography class at 11 o'clock. On Monday afternoons she has lunch at 12 o'clock. Then in the afternoon she has a science class at 13 and an art class at 14 o'clock. On Monday evenings Sally has football practice ar 18 o'clock. • On Saturday mornings Sally sleeps long and wakes up iat 11. In the afternoon, at 12 o'clock she has tennis practice. At 14 in the afternoon she has lunch. On Saturdays evenings she meets her friends at 18 o'clock. 4. Соедините вопросы и ответы. 1 B, 2 C, 3 D, 4 A. 5. Распределите глаголы по соответствующим группам. 6. Посмотрите на картинки и используйте подсказки, чтобы задать вопросы и ответить на них. 1. A: Is the postman opening a letter? B: No, he isn't. He's delivering a letter. 2. A: Is a boy watering the flowers? B: No, he isn't. He's planting the flowers. 3. A: Are the workers painting the room? B: No, they are not. They are drinking juice. 4. A: Is the girl making coffee? B: No, she isn't. She's reading news. 5. A: Are the boys walking? B: No, they are not. They are running. 7. Посмотрите на картинку. Исправьте предложения. 1. Sam isn't watching TV. He's listening to music. 2. Andy isn't typing a letter. He's making a phone call. 3. Matt is listening to the radio. He's reading a book. 4. Clara isn't driving a car. She is playing on the computer. 5. Sue isn't sending an e-mail. She is driving a motorbike. To have breakfast in the kitchen, to have lunch at school, to go to school, to have dinner at 7 o'clock, to go to bed at 10 o'clock, to work on computer, a cup of tea, to talk about the work, around half past six, to have a rest in an armchair, to watch DVD, to read books, to repair a car, to plant flowers, to drink coffee, to play computer games. 1. My brother always reads in the evening and I watch TV. 2. My mother usually cooks breakfast for me and my sister. 3. I never do homework on Sundays. 4. Where's father? — He's repairing the car. 5. The dog is in the garden. — Is it playing? — No, it's sleeping. 6. Are you free today in the afternoon? — No, sorry, but I'm very busy. 7. Could you tell me, what time is it? — 4.15. 8. When do you get up? - At 7.30. 9. What are you doing now? — We are waiting for our friends. 10. What are your parents? 1. Look at the picture! What are these people doing? — This is a pilot: he drives a plane. This is a baker: he makes bread. This is a vet: he examines a dog. This is a waiter: he brings drinks. 2. Look at the picture. This is my family. We are in th egarden. There are a lot of flowers and fruit trees in our garden. Father is working. Garden is his hobby. This is me. I'm helping my father. Mother is watering flowers near the house. My younger brother Dima is playing with his friend under the big apple-tree. Our pets are with us. The dog Tobik and the cat Murka are playing together with the boys. 1. а) Напишите названия месяцев, затем названия времен года. A: March, April, May — spring; В: December, January, February — winter; C: September, October, November — autumn; D: June, July, August — summer. 1 pick, 2 play, 3 rake, 4 go, 5 shining, 6 heavily, 7 freezing, 8 hot. 3. Прочитайте тексты и ответьте на вопросы. 1. The weather is very warm and the sun never goes down. 2. It's hot and sunny. 1. Том и Анна покупают одежду он-лайн. Что у них в сумках? Посмотрите на вещи Анны (А) и Тома (Т) и закончите список. Ann: 1 shoes, 2 jumper, 3 skirt, 4 gloves. Tom: 1 scarf, 2 trousers, 3 tie, 4 shirt. 3. а) Посмотрите на картинки. Что надето на этих людях? Steve is wearing a suit and Bill is wearing a school uniform. John, Stuart and Mary are wearing trousers and shirts and Ann is wearing a dress. it is warm, I wear T-shirts and shorts. 4. Используйте данные слова, чтобы задать вопросы. Затем ответьте на них. 1 Are you picking flowers at the moment? Yes, I am./No, I’m not. 2 Are you wearing a scarf and gloves? Yes, I am./No, I’m not. 3 Are you raking leaves now? Yes, I am./No, I’m not. 4 Have you got a raincoat? Yes, I have./No, I haven’t. 5 Doesn’t he swim well? Yes, he does./No, he doesn’t. 6 Is it raining outside? Yes, it is./No, it isn’t. 5. Используйте подсказки, чтобы спросить и ответить. В: He's doing his homework. A: How often does he do his homework? 3. A: What is Mary doing? B: She's walking the dog. A: How often does she walk the dog? 4. A: What are Bob and Paul doing? B: They are cooking lunch. A: How often do they cook lunch? 1. Используйте фразы из списка, чтобы задать вопросы и ответить на них по образцу. 2. A: Are they making a snowman? В: No, they are not. They are go camping. 3. A: Is she watching TV? B: No, she isn't. She's reading a book. 4. A: Are they going camping? B: No, they are not. They are having picnic. 5. A: Are they reading a book? B: No, they are not. They are making a snowman. 6. A: Is she having a picnic? B: No, she's not. She's watching TV. 7. A: Are they playing in the snow? B: No, they are not. They are going skiing. 1 a, 2b, 3b, 4a, 5a. 1 When are they going to Spain? A:You know, Spain is probably really nice in the summer. Sun, sea, sand. B:And too many tourists! Listen, everyone says the spring is the best time. Let’s go then! A:OK. We’re very busy in the autumn, anyway. 2 What is Susan doing at the moment? A:Hi, Mark! What are you doing out here? B:Hi! I’m picking flowers for Susan. A:Good for you! Is she inside? B:Yes, I think she’s watching TV. A:Oh, there she is. She’s in the garden, she’s picking flowers, too! 3 Which blouse does Angela buy? A:Oh Angela, I think the red one suits you perfectly. B:Mmm. I have a red blouse already. A:Well, what about the blue? B:Well, it’s not bad, but I think the green one looks lovely. 1. Прочитайте открытку. Какая картинка ей соответствует? Picture A matches the postcard. How are you? I’m having a great time here in sunny Brazil! The weather is amazing! The beaches are lovely and very clean. Pam and I go swimming every day. We wake up early in the morning, go to the beach and sunbathe all day. In the evenings we go shopping or read books in our hotel room. I really like it here! See you soon. 1. Поставьте глаголы в скобках в present simple или present continuous. 1) snows, 2) is shining, 3) is, 4) wear, 5) are wearing, 6) makes, 7) has, 8) is swimming, 9) making. 2. Напишите вопросы, используя where, what, how, when. 1. Where are the girls sitting? 2. How do you like this dress? 3. Where does my sister study? 5. What is the weather like in Norway now? 6. What does Harry love to wear? 7. Is it raining now? 8. Where are you staying? 9. Where does he work? 10. When does Elsa wake up? 1 I am reading a book at the moment. 2 I visit my grandparents on Sundays. 3 I go swimming in the summer. 4 I always go to bed early. 5 I am having lunch right now. 6 I go skiing in the winter. 7 I never help my mum with the chores. 4) James usually eats a sandwich in the morning but today he is eating cereal. He usually goes to school in the morning but today he’s going hiking. He usually works on his computer in the afternoon but today he’s playing football. He usually plays games on the computer in the evening but today he’s playing basketball. 5. Напишите вопросы, а затем ответьте на них. 2 What are you wearing right now? I’m wearing ... .
3 What is the weather like today? It’s ... .
4 What are your parents doing at the moment? They’re ... .
5 What time do you get up every day? I get up at ... .
6 Which season do you like most? I like ... .
1 C, 2 C, 3 A, 4 B, 5 A, 6 C, 7 B. 1. Look! The little girl is making a snowman! 2. We are looking for a T-shirt. 3. Are Mary and Steve going home on foot today? 5. What size do you take? 6. Does he study in Switzerland? to swim, to pick flowers, to put on a coat, to be/get tired of sth, to wear a long skirt, to ski/go skiing, a nice/lovely day, to be on one’s way to the airport, to watch TV, to make a snowman, to have a great time/fun, to have a picnic, to look for. 1. It's warm and it's raining. 2. It's hot now. The sun is shining. 3. It's beautiful outside. It's freezing. 4. It's snowing. It's cold. 5. What is the weather like today in Scotland? 6. There is a lot of snow in Russia in winter. 7. What season is in Australia now? 8. What size is this skirt? 9. How does this dress look on me? 10. This doesn't suit me? Let's go for a walk in the park. — All right. — Put on a warm coat. It's cold outside. — Is it snowing? — No, but it's freezing. The sun is shining. The day is nice! 2. It often snows in Russia in winter. Children ski, make snowmen. Sometimes it's very cold. We wear warm clothes. My friend likes winter but I like summer. It's hot. We have holidays. We can have a picnic. I often play football. In summer I wear shorts and a T-shirt. Sometimes it rains, but it's warm. 3. — It's raining. — Wonderful. I have got a new raincoat. I can wear it. How does it look on me? — It's very becoming to you, but take my umbrella. 4. I don't like rain. I can't go for a walk or ride a bicycle. When it rains I watch TV, play computer games. I like spring. In April I have my birthday. This is my favourite month. It's warm. The sky is blue. You can see the first birds. 1. Составьте словосочетания. Какое из них лучше всего подходит к картинкам? 1 f , 2 h, 3 g, 4 e, 5 b, 6 a, 7 c, 8 d.
A street parade, B set off fireworks, C family dinner. 2. popular; 4. lasts; 6. making; 8. pie. 3. Напишите С для исчисляемых и U для неисчисляемых существительных. 2. С; 4. С; 6. U; 8. U; 10. С. 4. Вставьте а/an или some, затем напишите С для исчисляемых и U для неисчисляемых существительных. 8. a pineapple — C.
1. Вставьте: loaf, box, bottle, glass, carton, bowl. 1 box, 2 loaf, 3 bottle, 4 carton, 5 bowl, 6 glass. 3. Прочитайте текст и вставьте в пропуски нужное слово. 4. Задайте вопросы со словами how. much/ how many. Ответьте на них. 1. How much water is there in the bottle? — Not much. 2. How many apples are there in the fridge? — Not many. 3. How many eggs in the fridge? — Not many. 4. How much sugar in the pot? — Not much. 5. How much milk in the fridge? — Not much. 6. How many in the box? — Not many. 5. Вставьте some, any, much, many. A: I'd like 1) some milk, please. B; How 2) much do you want? A: A glass, please. Have you got any crisps? B: Of course. How 3) many packets do you want? A: We need 1) some pizzas for the party. B: Good idea. How 2) many do we need for twelve people? A: Four large ones. We need 3) some burgers too. B: I think twelve are OK. Have we got 4) any lemonade? A: Yes, there's 5) some in the fridge. B: How 6) many bottles are there? 1. a) 1 birthday cake, 2 ice cream, 3 eggs, 4 soup, 5 crisps, 6 sausages, 7 sandwich. I usually have crisps, sandwiches and a birthday cake on my birthday. 1 What is Tom’s favourite drink? Tom: What are you drinking, Clair? Clair: Tea with lemon. It’s my favourite drink. Tom: Oh, it’s not mine. My favourite is orange juice. 2 What food doesn’t Sue like? Jack: Would you like to come over for dinner, Sue? My mom will grill steaks and sausages. Sue: No, thank you, Jack. I don’t like steaks and sausages. I eat only fish and chicken. 3 What do Tim and Kate want to buy? Kate: Tim, let’s hurry and go to the market before they close for the day. Tim: All right, Kate. What do you want to buy? Kate: I need fresh strawberries that I will use to bake a pie for tomorrow’s picnic. 4 What is in the fridge? Mum: Sam, could you please take out the grapes from the fridge? Sam: Sure, Mum. What do you need them for? Mum: I am going to put them in my fruit platter for tonight’s dinner. 3) 1 B, 2 A, 3 C, 4 A.
I think people eat and play games at food festivals. 2. Расставьте абзацы в правильном порядке. 3. Используйте информацию из текста и заполните фестивальную карточку. 3 Festival activities:eat strawberries, shop, vote for the festival Queen, listen to music, participate in competitions, watch parades. 1 Place: St Petersburg, Russia. 2 Date:the end of June — the beginning of July. 3 Festival activities:series of classical ballet, opera and music events, performances by Russian dancers, singers, musicians and actors, as well as famous international guest stars. Every year in St. Petersburg, Russia, between the 21st of June and the 11th of July, there is a fantastic festival. There are classical ballet, opera and music performances by Russian dancers, singers, musicians and actors, as well as famous international guest stars. The Scarlet Sails/“Alye Parusa” is the most popular part of the White Nights celebration. The event is highly popular for spectacular/fireworks and a massive show celebrating the end of the school year. Some carnivals take place during the White Nights Festival in St Petersburg. The largest and most internationally famous carnival takes place in Peterhof, the suburb of St Petersburg. There actors dressed in costumes from the times of Peter the Great and Catherine the Great give performances that show some historic events of that period. It’s very difficult to get tickets on time, but it’s definitely an experience of a lifetime! 1. Используйте а, an, some и напишите предложения. a) Что находится на подносе для завтрака? 1. There is a glass of milk on the breakfast tray. 2. There is some bread on the breakfast tray. 3. There is a bowl of corn on the breakfast tray. 4. There is some butter on the breakfast tray. b) Что входит в пиццу? 1. There is a tomato the in pizza. 2. There are olives the in pizza. 3. There is an onion the in pizza. 4. There is a pepper the in pizza. 2. Что вам нужно, чтобы испечь шоколадный торт? Отметьте галочками на картинке, а затем запишите. 1. You need some milk. 2. You need a bar of chocolate. 3. You need four eggs. 4. You need a bowl of sugar. 5. You need some butter. 3. Задайте вопросы по образцу и ответьте на них. 1. How many peppers do you want? — Two peppers. 2. How many bananas do you want? — Five bananas. 3. How much olive oil do you want? — Four bottles. 4. How many tomatoes do you want? — Three tomatoes. 5. How much bread do you want? — A loaf of bread. 6. How many biscuits do you want? — Four biscuits. 1 loaf, 2 carton, 3 box, 4 bowl, 5 glass, 6 jar, 7 bottle. 1 any, some; 2 much, much, a packet; 3 Would, one; 4 Can, many; 5 about, so. 1. You need some eggs to make waffles. 2. Is there any coffee in the jar? 3. How many apples are there? 4. There isn't much milk in the bottle. 5. There's an orange in the basket. 6. I haven't got any biscuits in my bag. To celebrate, to decorate the room, to exchange the presents, to prepare a favourite dish, favourite holiday, to choose fruit, to make sandwiches, to bring vegetables, to forget the rules, to cut potatoes. 8. Переведите предложения на английский язык. 2. Would you like to eat some soup? — With pleasure. 3. Have good appetite. — Thank you. 4. Let's have a family dinner. — That's a good idea! 5. Bring the flowers, please. 6. Do we have strawberries? — Let's see in the refrigerator. 7. I like biscuits and chocolate. 8. I usually make a celebration on my birthday. 9. Buy a carton of milk. 10. Bring, please, some grapes and cherries. — OK.
9. Переведите ситуации и диалоги на английский язык. 1. My favourite holiday is New Year. We decorate the flat, put on nice clothes and exchange presents. Mum cooks something special for dinner for the whole family. We like a chicken and rice with vegetables. Dad buys a pineapple and oranges, and Grandma makes a special cake. In our country December and January are cold months. We don't have parades in the streets, but we set off fireworks. 2. — How about eggs and sausages for breakfast? — Wonderful. I like sausages. And have we got any cheese? — Look in the refrigerator. — There is some. I like bread with cheese and butter. Make the tea, please. 3. — Masha, go to the shop, please. — OK, Mum. Let's make a list of things I need to buy. — Wre have no cabbage and carrot for soup. And buy some tomatoes and onion. — Can I buy some biscuits? — Yes, buy some biscuits and bread. 4. My sister always makes a celebration on her birthday. We decorate her room with baioons. Her friends bring presents. Mother makes a birthday pie. I buy ice-cream and strawberry. We sing, dance, play games. It's fun! A bread, B dolls, C magazines, D tulips, E aspirin. b) Соедините картинки с товарами из магазинов. 1 C, 2 D, 3 A, 4 B, 5 E.
1 toy shop, 2 pair, 3 ground, 4 nearly, 5 different, 6 shop, 7 jeweller’s, 8 chemist’s. 3. a ride on a roller coaster — to Rides for Big Kids. 1. Соедините определения и слова. 1 Theme park, 2 Art gallery, 3 Zoo, 4 Theatre, 5 Concert hall, 6 Museum. 2. Закончите правила, употребляя must/ mustn't. 1 mustn’t, 2 must, 3 mustn’t, 4 must, 5 mustn’t, 6 mustn’t. 3. Объясните знаки. Используйте данные глаголы. 1 You mustn’t enter this road. 2 You mustn’t speed. 3 You must stop at the red traffic light. 4 You mustn’t smoke. 5 You must keep to your right. We welcome you to our toy shop to celebrate its 10th birthday. Before you go and have some fun, I’d like to tell you about the interesting toys we have for you. On the ground floor, we have lots of computer games and Lego. You can make anything you like out of Lego. We have the latest computer games and they are very exciting. On the first floor, there are the board games. You can play with these for hours with your friends. On the second floor, there are all the toys for young children. Come and buy something for your baby brother or sister. We have a special magazine. This costs £5.00. You can look at the toys when you go home. We are open until eight thirty today so you have lots of time. 4) 1 computer, 2 board, 3 toys, 4 5, 5 8:30. 1. adventure, 2 action, 3 horror, 4 romance, 5 comedy. 2. Найдите слова, относящиеся к фильмам. 3. Закончите предложения данными словами. 1 spy, disappears; 2 worth; 3 armed, rescue; 4 perfect, 5 faces, saves; 6 boring. 1 b, 2 a, 3 b, 4 a, 5 a. 1. a) The first paragraph is about the type of film. The second paragraph is about the plot and the main characters. The third paragraph is a recommendation. 1. b) К какому типу относится этот фильм? одно и тоже прилагательное больше одного раза. Films: boring, great, horrible, wonderful, exciting, good, bad. Characters: boring, wonderful, clever, good, bad, great, horrible. Actors: great, beautiful, wonderful, horrible, clever, good, bad, handsome. My favourite film is Casablanca. plot: espionage, love story, melodrama. main characters:Rick Blaine, Ilsa Lund, Victor Laszlo. Casablanca is a classic film about World War II. It stars Humphrey Bogart, Ingrid Bergman and Paul Henreid. The director is Michael Curtiz. A cynical café owner in Casablanca, Rick Blaine (Humphrey Bogart), meets a former love, Ilsa Lund (Ingrid Bergman). Ilsa is now married to a resistance hero, Victor Laszlo (Paul Henreid). She asks Rick to help her husband escape from Casablanca as he is in danger. Rick has some papers which can secure the escape of Ilsa’s husband, but he is in a dilemma because he believes she had cheated on him in the past. Finally, he helps the couple. This is an exciting and full of suspense film. It is suitable for film noir lovers. 1. Перепишите следующие предложения, чтобы получились правила. 1. You mustn't buy toys with small parts. 2. You must test toys before you give them to your child. 3. You must throw away the package. 4. You must throw away long ribbons. 5. You mustn't let small children play alone. 6. You mustn't leave metal toys outside. 7. You must avoid toxic toys. 2. Заполните пропуски словами a/an/the. 1) a, 2) the, 3) The, 4) an, 5) the, 6) the, 7) a, 8) the. 3. Что люди покупают в каждом из этих магазинов? Используйте подсказки и напишите предложения. 1. She's buying some meat at the butcher's. The meat is fresh. 2. He's buying a book in the bookshop. The book is blue. 3. He's buying an action figure in a toy shop. The action figure is plastic. 4. She's buying an anorak in a clothes' shop. The anorak is yellow. 1. What is the ad for? 5. How much does the ticket cost? 5. Заполните пропуски предлогами of, on, at, to, for. 1 of, 2 for, 3 to, 4 at, 5 on. 1 B, 2 A, 3 C, 4 C, 5 B, 6 B, 7 C, 8 C, 9 B, 10 B, 11 B, 12 A. A pair of shoes, shoe shop, chemist's, to buy a magazine in a newsagent's, tomatoes from greengrocer's, famous toy shop, to go shopping, to keep scilence, to watch an action film, leading stars, to turn right, nearby. 1. This film is a comedy It's worth seeing. 2. Excuse me, can you tell me where is the toy shop? 3. The Art Gallery is near the Chemist's. 4. I'm looking for a toy car. 5. You mustn't take pictures in a museum. 6. Let's go to the florist's. It's near the shoe shop. 8. Where is the cinema? 10. In this shop children can celebrate their birthdays. 1. — Can I help you? — I'm looking for a nice doll. — Dolls are on the second floor. There you can buy a dress for a doll too. — Can I find there a toy car? — Toy cars, airplanes and trains, all toys for boys are on the third floor. — Thank you very much. — Don't mention it. 2. Harry Potter is a popular fiction hero. The films about Harry Potter are beautiful adventure films for the whole family. The plot is always interesting, the leading heroes are wonderful. Don't miss these films! 3. — Excuse me, is there a bookshop near here? — Yes, go up the Green Street, turn left near supermarket. The bookshop is on the right, on the corner of the Apple Street and North Street. — Thank you. 4. The Oxford Street is in London. It's famous for its shops. You can buy souvenirs and nice clothes. There are a lot of cafe and restaurants. You can have lunch or drink a cup of tea. Londoners and tourists often go there. 1. Используйте слова из списка, чтобы подписать картинки. 1 safari, 2 cruise, 3 beach holiday, 4 sightseeing tour, 5 activity holiday. 2. Угадайте слова. Какой твой любимый вид транспорта? 1 coach, 2 ship, 3 train, 4 motorbike, 5 car, 6 bike. Man: Hello, can I help you? Woman: Yes, please. This is Sally Jones. I want to book a ticket to Manchester. Man: Certainly, Miss Jones. When are you going to leave? Today? Woman: Oh no. I want to leave on the 7th of June. Man: And when do you want to come back? Woman: I want to come back on the 12th of July. Man: How do you want to travel, by train or by coach? Woman: I want to go by coach. How much is a ticket, please? Man: Well, a single is nineteen pounds. Woman: I’d like a return, please. Man: Then that’s thirty&two pounds. Woman: That’ll be fine. Where can I buy my ticket? Man: You can buy one at the station ticket office. 3. 1 Manchester, 2 7th, 3 12th, 4 coach, 5 32 pounds. 4. Заполните пропуски словами саn/can't. 5. Посмотрите на таблицу. Напишите предложения о том, что вы можете делать на сафари, а что нет. 1. You can't feed the animals on a safari. 2. You can take photos on a safari. 3. You can't run around on a safari. 4. You can bring food with you on a safari. 5. You can't touch the lions on a safari. 1. Соедините виды деятельности с картинками. 1 A, 2 C, 3 B, 4 F, 5 D, 6 E.
2. Заполните пропуски данными словами. 1 tiring, 2 boring, 3 dangerous, 4 relaxing, 5 exciting, 6 fun. 3. а) Выразите внезапно принятое решение, составив предложения по образцу. 1. I'll turn on the heater. 2. I'll tidy it up. 3. I’ll make a sandwich. 4. I'll give you some money. b) Используйте will или won’t чтобы создать высказывание о будущем. Следуйте образцу. 1. Robots will do the washing up for people. 2. Children won't go to school. They will study at home. 3. People will live on other planets in one hundred year. 4. Cars won't run on the road. They will fly in the air! 4. а) Прочитайте текст и найдите три вещи, которые вы можете делать на каникулах в Мексике. You can swim, relax and sunbathe on the beach, fish or go scuba diving. b) Ответьте на вопросы Т (true) или F (false). 1. Используйте слова из списка, чтобы заполнить диаграмму. 2. Соедините слова из двух колонок. Затем используйте фразы, чтобы закончить предложения. 1. Tom is going to see a dentist for his toothache. 2. Jack has a sunburn. I'll put on some lotion and he will feel better. 3. If you have a headache, you should take an aspirin. 4. Sally has a very bad stomachache. I think she should see a doctor. 1 b, 2 a, 3 a, 4 a, 5 b, 6 b, 7 a, 8 b. 1. Прочитайте записки. Какая из них неформальная? Приведите причины. Maggie’s note is informal because it has abbreviations and there are no formal salutations. 2. Прочитайте записку. Какие местоимения, артикли и глаголы пропущены или сокращены? 3. Перепишите предложения в форме записки. Прочитайте подсказки в таблице! 1. At market. С u soon. 2. Meet at Wendy's at 11. 3. Can't come to park. Got lot of chores. 4. Will b at library at 6. Party at Emma’s 2 nite! Will b there with Dan at 8. Meet at front door. C u then. 1. Посмотри на правила лагерной жизни. Задай вопросы и ответь на них по образцу. 1. A: Can I rest in the afternoon? В: Yes, you can. 2. A: Can I sleep late? B: No, you can't. 3. A: Can I use camp phones? B: Yes, you can. 4. A: Can I use mobile phones? B: No, you can't. 5. A: Can I send emails? B: Yes, you can. 6. A: Can I leave the camp? B: No, you can't. 1 I’ll take an umbrella. 2 I’ll answer it. 3 I’ll wear my jacket. 4 I’ll put on a jumper. 5 I’ll take an aspirin. 3. Используйте и подсказки, чтобы сделать предположения о будущем. 1. There won't be any teachers. 2. There won't be any shops. 3. There won't be any illnesses. 4. People will eat fruit and vegetables. 5. People will go on holidays to the moon. 6. People will live on other planets. 4. Закончите вопросы и дайте краткие ответы. 1. A: Can you carry this box for me? B: No, I can't. 2. A: Can I answer this question? B: Yes, you can. 3. A: Can you come to the cinema with me? B: Yes, I can. 5. Вставьте: can, can't, will, won't, must, mustn't, should. 1 should; 2 can, can’t; 3 Will, won’t; 4 mustn’t; 5 Can, can; 6 must; 7 mustn’t; 8 should; 9 Can, can’t, can; 10 won’t, will. 6. Поставьте глаголы в скобках в форму simple present, present continuous, simple future. Activity holiday, extreme kinds of sport, to book tickets, to camp, to fill in a card, wonderful pool, to spend a holiday with the family, boring film, dangerous trip, new airoport, difficult question, reasonable prices, high temperature, to visit a castle, to win a match. 1. I would like to go to Africa and see exotic animals in wild life. 2. Can I park the car here? 3. You can't camp here. It's dangerous. 4. Can I take a picture of this flower? 5. I like fishing. It's a very relaxing activity. — Really? And I think that it's a very boring activity. 6. Let's go swimming! — Excuse me, I'm tired. Better I will sunbathe. 7. — I think my brother will be a vet. He likes animals very much. 8. I'm sure you would like this new book about interesting journeys around America. 9. What's the matter with Tanya? — She has a toothache. — She must go to the doctor. — I think she will go to the doctor today after school. Sochi! Our family are having a great time here and we don’t want to leave. The weather is fantastic! It’s sunny, there’s no rain. It’s hot. Every morning we go to the beach to swim and sunbathe. The water is blue and very warm. I can swim all day long. Sometimes my Dad and I go windsurfing or jet skiing. It’s very exciting! We have lunch in the restaurant in the park by the seaside. There’s a good sport centre in our holiday camp. In the evening we play volleyball and tennis. I take pictures. I’ll show you my photos when we come back. I’m sure you’re enjoying yourself and having a great time in the camp. I hope we’ll spend holidays together next summer. B: What grade is the art class for? A: It’s for the fifth grade. B: What day is it on? A: It’s from 2.30 to 3.30. B: Which room is it in? A: It’s in room 3B. B: What’s the teacher’s name? A: What books are for sale? A: What day is it on? B: It’s on Monday 6th October. A: Which room is it in? B: It’s in room 2D. B: It’s from 12.30 to 1.30. A: What’s the teacher’s name? B: How much are the London T&shirts? B: Where are the dragon mugs from? A: They are from Wales. B: Have they got any souvenirs from Scotland? A: Yes, they’ve got tartan scarves. B: Have they got any Union Jack souvenirs? A: Yes, they’ve got watches with the Union Jack flag on them. B: Where is the shop? A: It’s at 14 Oxford Street, London. A: What is the capital city of America? A: Where can you see Spiderman? A: What has the Postal Museum got? B: It’s got John Lennon’s stamp collection. A: Where can you buy souvenirs? B: At the Union Station. A: What’s the telephone number? B: What floor is the flat on? A: It’s on the fourth floor. B: How big is the flat? A: It’s 200 square metres. B: How many bedrooms has it got? A: It has got three bedrooms. B: Is there a fireplace? A: Yes, there is. It’s in the living room. B: Has it got a big kitchen? A: How many floors has it got? B: It has got two floors. A: How many rooms are there downstairs? B: There are four rooms. A: Has it got central heating? B: Yes, there is one in the front and one in the back of the house. A: Has it got a garage? B: Where is Gwen Stefani from? B: When is her birthday? B: What is she famous for? A: For her great voice. B: What are her parents’ names? A: Their names are Dennis and Patti. B: How many brothers has she got? A: She has got two brothers. A: What’s the name of the new DVD? A: What is Fred’s wife’s name? B: Her name is Wilma. A: What type of film is it? A: What are the names of their best friends? B: They are Barney and Betty. A: What’s the price of the DVD? B: What pets does ‘Pets For You’ have? A: It has cats, dogs, budgies, rabbits and snakes. B: What are the cats and dogs like? B: Where are the snakes from? A: They are from India. B: Have they got any books on insects? B: What is their address? A: 12 High Street, Brighton. A: Where are Bengal Tigers from? B: They are from India. A: What colour are Bengal Tigers? B: They are red or orange, with black or grey or brown stripes. A: Are there any other animals at the zoo? B: Yes, there are elephants, lions, giraffes, bears, monkeys and lots more. A: What are the opening times? B: The zoo is open from 9 am to 5 pm every day. B: It’s Park Road, Brighton. B: How many tourists visit the tower every year? A: 5.5 million tourists visit the tower every year. B: How high is it? A: It is 300 metres high. B: What’s the designer’s name? B: Where is the tower? A: Beside the River Seine. B: What are the opening times? A: It is open from 9 am to 6.30 pm. A: What’s the job advertised? A: What time does work start? B: It’s from 8.30 am to 4.30 pm. B: It’s 16 Oxford Street, Hull. B: Where is the hotel? B: What activities can you do in the summer? A: You can go walking. B: What’s temperature in the summer? A: It’s 30 degrees Celsius. A: It costs 899 €for 5 days. B: What is the telephone number? A: What types of coats do they sell? B: They sell raincoats and winter coats. A: How much do the woolen sweaters cost? A: Do they sell any other clothes? B: Yes, they sell jeans, trousers and skirts. A: What sizes do they have? B: They have sizes from 8 to 18. A: Where are the shops? B: They are in Bristol, Leeds, London, and York. B: When is the party? A: It’s on September 15th. B: What can you eat at the party? A: You can have a special dinner with moon cakes. B: What can you drink? A: You can drink Chinese tea. B: What time is the party? A: It’s at 8 pm. B: Where is the party? A: What kind of parties do they plan? B: They plan birthday parties. A: What kind of food do they have? B: They have birthday cakes, small cakes, biscuits and sandwiches. A: Do they have decorations? B: Yes, they have balloons. B: It costs 85 €for ten children. A: What’s their telephone number? B: What is the name of the gallery? A: It’s the Bates Gallery. B: What date is the exhibition on? A: It’s from January 10th to February 16th. B: What is the exhibition celebrating? A: It’s celebrating 50 years at the Bates Gallery. B: What can you see at the exhibition? A: You can see paintings and photographs of London’s West End. B: Where is the gallery? A: It’s on the corner of Bath Street and Hill Road. A: What is the name of the new shop? A: When does it open? B: It opens on December 5th at 9 am. A: How many floors does it have? B: It has five floors. A: What can you buy there? B: You can buy the latest fashions, shoes, books, CDs and toys. A: What are the opening hours? Friday, and on Saturdays from 9 am to 6 pm. B: Where are the lessons? A: At Surfworld Watersports Centre. B: What time are the lessons? A: They start at 11am and finish at 3.30 pm. A: They cost 75 €per day. B: Are there any other lessons at the centre? A: Yes, there are scuba diving and sailing lessons, too. B: Can you pay by credit card? A: What kind of tour is it? B: It’s a 4&day tour of Rome. A: What can you see? B: You can see St Peter’s Square and the Sistine Chapel. A: What size are the groups? B: They are small groups. Between 12 and 20 people. B: It costs 540€per person. A: What is the telephone number? A: What kind of textbooks are for sale? B: There are second&hand Maths textbooks for sale. A: What day is the (book) sale on? B: It’s on Monday, 6th October. A: Which room is the (book) sale in? A: What time is the (book) sale? A: Which teacher is responsible? B: The Maths teacher, Mr Bond. B: The capital city of America is Washington DC. B: You can see Spiderman at Universal Park. B: The Postal Museum has got John Lennon’s stamp collection. B: You can buy souvenirs at Union Station. A: How many floors are there? B: There are two floors. B: There are four rooms downstairs. A: Has the house got central heating? A: Has the house got a garden? B: Yes, it has got a front and a back garden. A: Has the house got a garage? B: (Fred’s wife’s name is) Wilma. B: It’s a funny film. A: What are their best friends’ names? B: (Their best friends are) Barney and Betty. A: What is the price (of the DVD)?/How much does the DVD cost? B: It’s 19 pounds and 99 pence. A: Where are the Bengali Tigers from? A: What colour are the Bengali Tigers? A: Are there any other animals? B: Yes. There are elephants, lions, giraffes, bears, monkeys and lots more to see. A: What is the address? B: Twocross Zoo, Park Road, Brighton. A: What job is advertised? A: Where is the job? B: (The job is at) Claire’s café. B: Work starts at 8.30 am. A: What types of coats are there? B: There are raincoats and winter coats. A: How much are the woolen sweaters? B: They are 30 pounds. A: Are there other clothes? B: Yes, there are. There are jeans, trousers and skirts. A: What are the sizes? B: The sizes are from 8—18. B: They’re in Bristol, Leeds, London and York. B: They plan birthday parties for children aged 4—12. B: Of course. They make fantastic birthday cakes, small cakes, biscuits and sandwiches. A: Are there any decorations? B: Yes, they decorate your house with balloons. A: What is the cost? B: Parties cost 85 euros for 10 children. B: (It’s) 2324456. Ask for Jane Harvey and Kate Hill. A: What is the name of the shop? B: (The name of the shop is) Allders. B: There are 5 floors. B: You can buy all the latest fashions, shoes, books, CDs and toys. B: It’s open from Monday to Friday, 9 am — 9 pm, and on Saturdays from 9 am — 6 pm. B: It’s a 4&day history tour in Rome. A: What size are the tour groups? B: They are small groups of 12—20 people. A: What is the cost of the tour? B: (It’s) 540 euros per person. A: What grade is the art class for? B: The art class is for fifth grade students. A: What day is the art class on? A: What time is the art class? A: Which room is the art class in? B: It’s in room 3B. A: What is the teacher’s name? B: The teacher is Miss Simms. A: How much are the London T&shirts? B: They are 8 pounds. A: Where are the dragon mugs from? A: Have you got any souvenirs from Scotland? B: Yes, I have. I have got tartan scarves from Scotland for 10 pounds. A: Have you got any Union Jack souvenirs? B: Yes, I have. I have got watches with the Union Jack flag on them for 25 pounds. A: Where is the shop? B: 14 Oxford Street, London. A: What floor is the flat on? B: It’s on the fourth floor. A: How big is the flat? B: It’s 200 square metres. A: How many bedrooms has it got? B: It’s got three bedrooms. A: Has it got a fireplace? A: Has it got a big kitchen? A: Where is Gwen from? B: She’s from California in the USA. A: When is her birthday? B: Her birthday is on October 3rd. A: What is she famous for? B: She is famous all over the world for her great voice. A: What are her parents’ names? B: Her parents are Dennis and Patti. A: How many brothers has she got? B: She’s got two brothers, Eric and Todd. 5B — Pets For You! A: What kinds of pets does ‘Pets For You’ have? B: They have cute cats and dogs, blue and green budgies, beautiful rabbits and snakes. A: Where are the snakes from? A: Has it got any books about insects? B: 12 High Street, Brighton. A: How many tourists visit the Eiffel Tower every year? A: How high is the Eiffel Tower? B: It’s 300 metres high. A: What is the designer’s name? A: Where is the Eiffel Tower? B: It’s in Paris and it stands beside the River Seine. B: The Eiffel Tower is open from 9 am to 6.30 pm. A: Where is this beautiful hotel? A: What type of activities can you do in the summer? B: There are fantastic walking holidays in the summer. A: What is the temperature in the summer? B: The temperature in the summer is 30 °C. B: A five&day holiday costs 899 euros. A: When is the Chinese Harvest Festival Party? B: It’s on September 15th. A: What can you eat at the party? B: You can have a special dinner and moon cakes. A: What can you drink? A: What time does the party start? B: The party starts at 8 pm. A: Where is the party? A: What’s the name of the art gallery? B: It’s called the Bates Gallery. A: What is the date of the exhibition? B: The exhibition is from January 10th — February 16th. A: What does the exhibition celebrate? B: It celebrates 50 years at the Bates Gallery. A: What can you see at the exhibition? B: You can see paintings and photographs of London’s West End. A: Where is the art gallery? B: It’s on the corner of Bath Street and Hill Road. A: Where are the windsurfing lessons? B: They’re at the Surfworld Watersports Centre. A: What time are the lessons? B: The lessons are from 11 am — 3.30 pm. A: How much do the lessons cost? B: They cost 75 euros per day. A: Are there any other lessons? B: Yes. There are also scuba diving and sailing lessons. A: Can I pay by credit card? B: Yes. You can pay by cash or credit card. 1 B, 2 C, 3 A, 4 B, 5 C, 6 B, 7 C, 8 A, 9 C, 10 A, 11 B, 12 A, 13 B, 14 C, 15 B, 16 C, 17 A, 18 B, 19 C, 20 B. 1 B, 2 C, 3 B, 4 C, 5 C, 6 B, 7 C, 8 B, 9 B, 10 A, 11 B, 12 A, 13 B, 14 C, 15 B, 16 A, 17 C, 18 B, 19 A, 20 A. 1 C, 2 B, 3 A, 4 B, 5 B, 6 A, 7 C, 8 B, 9 C, 10 B, 11 A, 12 C, 13 C, 14 A, 15 B, 16 B, 17 B, 18 C, 19 A, 20 C.
1 A, 2 B, 3 A, 4 A, 5 C, 6 B, 7 A, 8 B, 9 A, 10 B, 11 C, 12 C, 13 B, 14 C, 15 A, 16 C, 17 B, 18 A, 19 A, 20 B. 1 C, 2 A, 3 C, 4 B, 5 C, 6 A, 7 B, 8 A, 9 B, 10 B, 11 B, 12 A, 13 C, 14 C, 15 C, 16 B, 17 C, 18 B, 19 C, 20 A. 1) 1 is raining, 2 Does your brother make, 3 visit, 4 is watering, 5 are you doing, 6 have, 7 goes, 8 is raining. 2) 1 I won’t, 2 she doesn’t, 3 it is, 4 I do, 5 I’m not, 6 they will, 7 they are, 8 I will. 3) 1 Do you play, 2 are having, 3 will meet, 4 Do you usually go, 5 drives, 6 is working, 7 will walk. 1 is raining, 2 Does your brother make, 3 visit, 4 is watering, 5 are you doing, 6 have, 7 goes, 8 is raining. 2. Ответьте коротко на вопросы. 1 I won’t, 2 she doesn’t, 3 it is, 4 I do, 5 I’m not, 6 they will, 7 they are, 8 I will. 3. Заполните пропуски глаголами в форме present simple, present continuous или simple future. 1 Do you play, 2 are having, 3 will meet, 4 Do you usually go, 5 drives, 6 is working, 7 will walk.